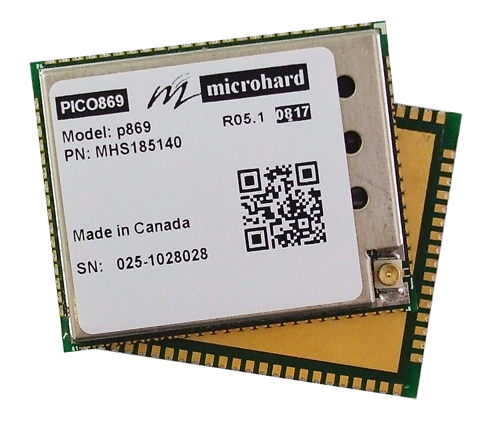 Microhard - P869 Miniature OEM 869 MHz Wireless Modem. For the ultimate solution in design flexibility and size sensitive applications, consider the Pico Series P869 radio platform. 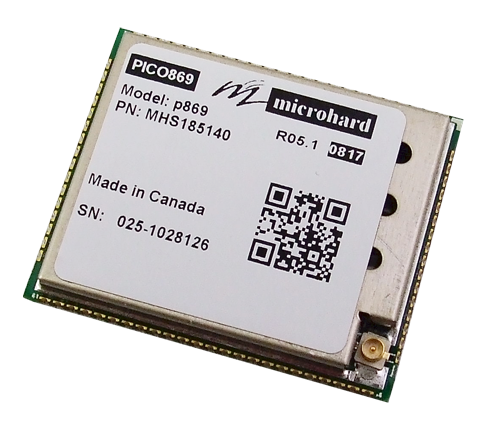 The P869 offers a robust and secure OEM wireless solution in the 869.25 to 869.75 MHz frequency band. The P869 provides an economical solution with the design flexibility, features, and performance never seen before!